This iPoll review was composed to help anyone interested in the rewards site learn more about them. From how the website functions to what rewards you may earn, our iPoll review will tackle all the necessary details. Our chief purpose is to help you decide if you want to try out this website, or not. To begin with, it should be mentioned that iPoll is a GPT, or more precisely, a ‘get paid to’site. Like other survey reward websites, iPoll does come its fair share of concerns. Members have spoken out on quite a number of occasions about payment issues and survey complications. This iPoll review will focus on both these factors, and its good elements as well. iPoll is one of many GPT (get paid to) websites that offer cash in exchange for taking surveys. Unlike some of the other survey rewards sites currently up and running, iPoll has to offer both a desktop and mobile version, so you’ll find it easy to take surveys anywhere. Currently, this website can be accessed by users in 30+ countries. When conducting this iPoll review, the most important factor was determining if this website was even legit. After analyzing both the site and user reviews, it looks as though iPoll isn’t a scam, not really. There’s no sign-up fee, so you aren’t putting in any money and generally, have nothing to lose. However, there are too many negative responses from users that we cannot ignore in our iPoll review. 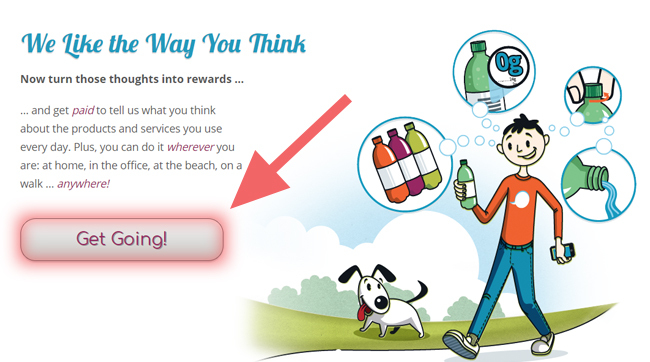 Many have claimed to have never received any rewards even after completing numerous surveys. Others reported having had issues withdrawing their earnings. Some users had problems getting in touch with customer support. Also, concerning the website itself, iPoll doesn’t reveal a lot of information that the user should now. For example, it offers no details as to a timeframe on payments, minimum payment limit required to withdraw, etc. Still, as we’ve already mentioned since iPoll doesn’t ask for a sign-up fee or credit card information, it can’t be labeled as a scam. However, it may not be the best survey rewards website online today. Surveys: As it stands, the only way you can earn money from iPoll is by taking surveys. iPoll sends its survey invitations to users regularly, although some users may not see them as often as others depending on the specific surveys being conducted. The company mentions that it’s best to keep your profile updated in an effort to receive more survey invitations. iPoll offers users a couple of different rewards. For this iPoll review, we split the rewards in the sections below between what is considered to be the most common reward and what most people actually want to receive. Gift Cards: You have the option of turning your earnings into gift cards and vouchers for services the likes of iTunes and Amazon. Cash Payout: If you want to earn money, then you can simply choose to withdraw your earnings. This can be done via PayPal, so you must have a valid account set up if you want to select the cash option. In spite of the concerns raised by several iPoll members, there are still some positives to glean from the website. Below, you can consult a list of both its pros and cons. Various Rewards: You can choose between cash and gift cards. Having options is something that users seem to appreciate. Quarterly Prize Draw: Unlike other similar survey websites, upon sign-up, iPoll enters its users into a quarterly prize draw. It does so for the chance to win a large cash prize. While there’s no guarantee that this will happen, it still is something different that many sites don’t offer to its users. Mobile and Computer Use: iPoll focuses on allowing its users to complete surveys on their mobile devices similar to how they would on a computer. This means you can take their surveys with you on-the-go. Payout Process: Cashing out your earnings can take a considerable amount of time, which doesn’t make iPoll ideal if you are in need of cash fast. Minimum Surveys: Since iPoll claims to send surveys based on customizations created for each specific user, some may not see any surveys for a long time. Several users reported issues with delayed payments taking months to come, while others mentioned not receiving anything at all. Members mentioned that they took surveys only to discover months later that these were actually invalid. In turn, this means that they received no compensation for their time. There have been complaints about receiving gift cards that were unusable. Since these are all issues concerning iPoll itself, it seems that the only fix you may be able to do on your own is to reach out to their customer support team. This should be able to find or offer a solution. Official Website: There is an FAQ section where you can submit a question, and a representative will get back with you. You can also call their toll free number at 1-866-360-9565. So, to offer a quick summary of this iPoll review, the company is a survey rewards website that offers cash payment (or gift cards) in exchange for answering questionnaires. In spite of the positive points about the company, there are several concerns raised about actually seeing your earnings or receiving a fair share of survey invitations to be able to actually participate. You will have to decide yourself if iPoll is a survey website you want to be a part of as it can take months to truly see any sort of income from it. If any of you already have accounts with iPoll, we’d love to hear your thoughts about the website.